Making the transition to college is one of the most exciting, nerve-wracking things that many young people experience. The years that await bring an unlimited string of new opportunities; they also, however, offer a road scattered with temptations. 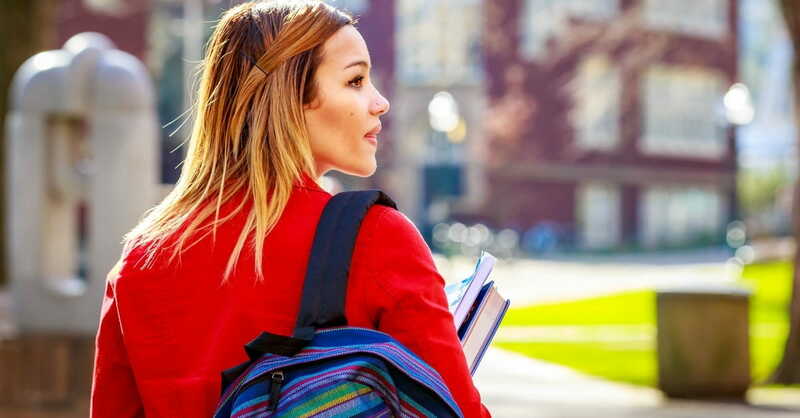 This initial transition into the college world can have a significant impact on the way a person handles the rest of their years spent in school, as well as their life afterward. 1. Don't Ditch Your Healthy Habits. When I entered into the enormous cafeteria conveniently located a short walk from my dorm, I was met with a motley mix of enticing aromas. I gazed upon the deliciously unhealthy spread: cheese fries, corn dogs, pizza… the choices went on and on (and I hadn’t even gotten to the dessert menu!). Needless to say, the temptation overcame me. That semester marked an all-time low for my health—I ate too much junk food, exercised too little, and spent a large chunk of my free time glued to the TV. “The Freshman Fifteen” is real, and it takes a toll on your health. The good news is that it can be avoided. College campuses are sure to offer plenty of junk food, but there will also be healthy choices available. It might require a little more effort to seek out those wholesome options, but I promise it’s worth it. Additionally, most universities have a campus gym included in your tuition. If this is true for your school, why not make the most of what’s readily available? Working out is an invigorating way to spend your much-needed study breaks, as well as a healthy means of releasing any pent-up stress. Within the week, I found my email inbox bombarded with messages from the various clubs I’d recently claimed myself a member. I want to be involved, but how can I handle all these commitments and my schoolwork? The truth is, I couldn’t. I had bitten off more than I could chew, a well-intentioned mistake made my many new college freshmen. Most universities offer oodles of clubs to join and activities that welcome student participation. Keep in mind that while it’s great to be involved, it’s best to keep it to a number that’s realistic. Trying to do too much can lead to additional stress, and it can really cut into your free time. Finding a healthy balance between academics and extracurricular activities will allow you time for both work and play. If your college has a limited selection of clubs and activities, why not start one yourself? To do this, you’ll need to get approval from your university. This process varies from college to college, so you’ll have to find the correct person or office that will help you get started. “Our people must learn to devote themselves to doing what is good, in order to provide for urgent needs and not live unproductive lives” (Titus 3:14). In addition to working hard to remember all those new names and selecting which clubs best fit your schedule, a significant chunk of your college life will be centered on academics. It might sound shocking to incoming freshman, but it’s true! In all seriousness, don’t forget that the primary reason you’re attending college is to further your education. There will be times when the work seems overwhelming, but how you handle that stress is important. When in doubt, check in with God. Although you may feel like you barely have time to even brush your teeth, taking a moment to pray is always worth it. He knows you’re stressed, but He’s created to you to strong. “Come to me, all you who are weary and burdened, and I will give you rest” (Matthew 28-30). 4. Keep Your Family Close. College, for many people, is a chance to be own their own. Once you’re no longer living under your parents’ roof, you’ll probably feel a sense of maturity that seems brand new. I can’t count the number of incoming freshmen I heard discussing how great it was to finally be away from their parents… 20 minutes after mom and dad left campus. I observed some of the same people calling their families almost obsessively within the days that followed, wanting to know every detail of what was going on back at home. You’re thrilled that you’re in college, but so is your family. While they surely miss you, they’re excited for you. You’re doing so many new things, meeting so many new people, and they’re not there to experience it with you. Keeping them updated on what’s going on in your life will mean more to them than you know. 5. Don't Make Dating Your Goal. I knew quite a few students who were either engaged or married before graduation. It seemed so commonplace that I couldn’t help but think, I’m still single... what’s wrong with me? When I eventually stopped focusing on finding a boyfriend (along with fixating on all the reasons I didn’t have a boyfriend), I found myself having fun. I went out with friends, attended sporting events, and finally began to live in the moment instead of constantly wanting something more. Dating in college can be a beautiful thing, but it shouldn’t be your ultimate goal. Don’t play detective and make it your goal to track down your future spouse—that’s up to God. Focus instead on the Lord, and his plans for you. For some, college can be a real eye-opener. It’s true—more than likely there will be drinking, and sometimes those around you will make not-so-great choices. This, however, doesn’t mean that you should hide out on the weekends in fear of being lured into sin. College should be fun, and it is possible to have a good time without engaging in immoral behaviors. It’s in the face of temptation that it is so incredibly crucial to remember God’s Word, and maintain moral standards that adhere. “And do not get drunk with wine, for that is debauchery, but be filled with the Spirit” (Ephesians 5:18). No matter how small a university may be, there’s bound to be a varied group of students with different beliefs and backgrounds. That’s the beauty of college—you have the opportunity to learn about people who are so different from you. That being said, those with whom you choose to spend your time can have such a tremendous impact on your overall experience. Meeting people who share similar interests is a terrific way to make friends when transitioning to college. A great way to find those people is by attending events dealing with an interest you have, such as a sporting event, an art exhibit, a Bible study, and so on. Your university’s website likely has an event calendar that lists the upcoming happenings on and around campus, so don’t hesitate to check it out! “A friend loves at all times, and a brother is born for a time of adversity” (Proverbs 17:17). 8. Love Others—Even When it's Hard. I once had a roommate who was, for lack of a better term, difficult. We seemed to be complete opposites, and many times I found myself wondering how in the world we could survive spending two semesters in one cramped little dorm room with each other. When she berated me for half an hour after I’d used one of her paper napkins, I felt myself boiling with rage. I wanted to scream, bitterly remind her of every instance in which she’d made a mistake, and unleash a tirade of insults her way. “If someone says, ‘I love God,’ and hates his brother, he is a liar; for he who does not love his brother whom he has seen, how can he love God whom he has not seen?” (1 John 4:20). From that day on, I replaced my spiteful attitude toward my roommate with one of kindness. We did not become best friends, but we were finally able to get along with one another. During your time in college, it’s inevitable that you will be thrown in the presence of certain people who might not be your favorites; but the attitude with which you choose to respond to these people will say more than words ever could. 9. Join a Campus Ministry. I’ll be honest—when I was away at college, I was tempted to skip the church service a few Sundays in favor of sleeping in. I often had to force myself to wake up earlier than I would have liked, but at the end of the day, I never once regretted attending a campus ministry. I met some of my closest friends while attending my college’s campus ministry, and I formed strong relationships with these incredible people while growing in my faith. Universities will often offer a variety of ministries that meet at different times, since many students have demanding class schedules and are involved in sports or other campus activities. To learn more about the ministries your campus offers, use the college website as your guide. 10. Don't Wait to Think Ahead. Selecting and sticking with a major becomes more important during the later years of college, but this doesn’t mean that you shouldn’t put some thought into it now. Arguably the most asked question college students are hit with is “What do you want to do after college?” I couldn’t even begin to count the times someone has asked me this. It deserves consideration, even if you’re just beginning your life as an undergrad. There are a variety of resources available on and off campus to help students find career paths that interest them. This can be a stressful process at times, but it’s important to remember that the Lord is with you every step of the way. “Listen to advice and accept discipline, and at the end you will be counted among the wise. Many are the plans in a person’s heart, but it is the Lord’s purpose that prevails” (Proverbs 19:20-21).